The Programme took the concept of complex diversity as its point of departure for analysing the emergence of a new configuration of social conflict – related to the processes of transnationalisation, migration, religious mobilisation, and cultural differentiation – in Europe and Canada. 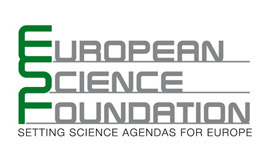 During its running period from June 2010 to November 2014, the Programme brought together a network of leading scholars from both sides of the Atlantic to accomplish its original objectives and to become the template for a series of activities devoted to fleshing out the impact of complex diversity in the four issue areas that were to be examined in- depth, namely 1) linguistic diversity, 2) de-territorialised diversity, 3) religious diversity, and 4) diversity and redistribution. 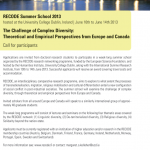 The corresponding thematic sections of the RECODE project organised nine workshops and one doctoral school which focussed on the societal challenges and the institutional responses related to complex diversity from a Euro-Canadian perspective. Parallel to these activities, RECODE produced a collection of working papers which are available online from the Programme’s website [www.recode.info]. In addition, a series of books will be published between 2015 and 2017 to offer a comprehensive overview of the research done in the context of the four work teams. Section 1 (‘Linguistic diversity’) has produced a systematic assessment of the impact of complex diversity on language politics and language policies. This assessment has both diachronic and synchronic comparative dimensions, and special attention has been paid how the legacies of the old interact with the challenges of the new in the realm of the politics of language. The research under section 2 (‘De-territorialised diversity’) has been particularly concerned with the boundary-transcending character of complex diversity, which entails increasingly globalised, or at least less territorially confined and delimited, patterns of identity politics. Identity politics have thus become more ambiguous in terms of defining in-groups and out-groups. Section 3 (‘Religions and the public sphere’) has explored how, in complex societies, religion has unbound itself from many of its traditional functions yet the management of religious diversity continues to demand specific policies from the state. The section has concentrated on three thematic strands: narratives of secularism, the governance of religion, and the accommodation of religious diversity. Section 4 (‘Solidarity beyond the nation state’) has analysed how the politics of the welfare state has been reshaped by complex diversity, focussing on the challenges facing western democracies when it comes to maintaining and strengthening the bonds of community in ethnically diverse societies, and exploring possible ways to reconcile growing levels of multicultural diversity and the sense of a common identity that underpins a generous welfare state. The Programme has made an original and innovative contribution to understanding how the formation and articulation of new identities, which are connected with processes such as Europeanisation and transnationalisation, is changing the cleavage structures that were characteristic of modern politics and thereby altering the dynamic of democratic integration in Europe and Canada. In the context of the transition from ‘simple’ to ‘complex’ diversity, diversity can only be grasped properly if we conceive of it as a fluid and multidimensional phenomenon. Complex diversity thus reflects the interplay of the effects of new forms of transnational mobility with established local, regional, and national patterns of social differentiation. The Programme has created an extensive and vibrating network for scholarly exchange on complex diversity both across Europe and between Europe and Canada. RECODE workshops and conferences were hosted by academic institutions from 10 European countries and from Canada. Around 150 senior and junior scholars, representing a broad range of disciplines and academic backgrounds, were involved in RECODE events. In the coming years, the research paths opened by RECODE will be continued in several collaborative international projects. 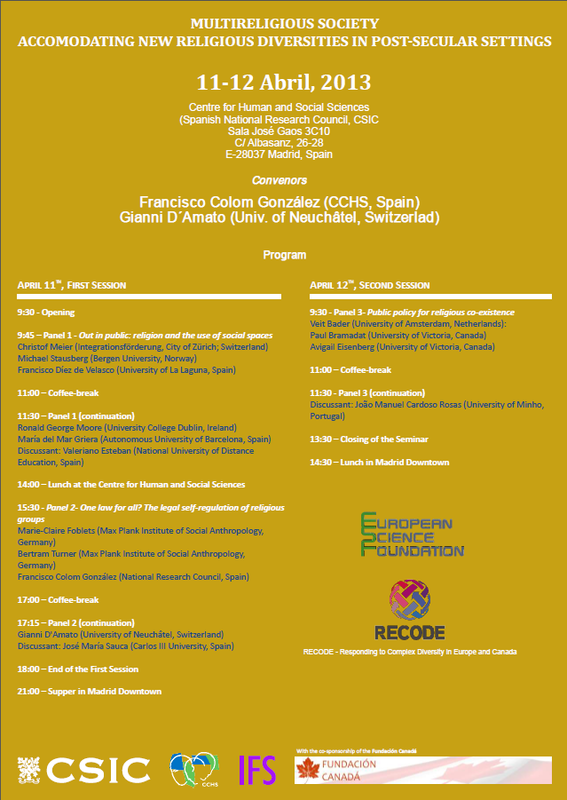 The final conference of the RECODE network will present and discuss new contributions to studying socio-cultural diversity and the political challenges it entails. It will offer a critical balance of the scientific activities realized under the umbrella of the RECODE network over the past four years. The conference will not only give an overview of the work done in the four RECODE thematic sections, but also address the interconnections in this work in order to substantiate the analytic potential complex diversity has for understanding ongoing transformations on both sides of the North Atlantic area. The key question the workshop will address is the transition from the ‘simple’ diversity of high modernity to the ‘complex’ diversity of present times. The final RECODE event will have two main parts. The first, opening part of the event (23 October 2014) will integrate two keynote lectures and a panel debate focusing on the topic ‘Complex diversity and its politics: towards a new research agenda’. The main purpose of this public event is to present the views of two scholars with a pioneering record in the debate on ethnic relations and multiculturalism, and to contrast these views with approaches to studying diversity adopted in the context of RECODE. Gérard Bouchard (sociology, history / Université du Québec à Chicoutimi) will address the ‘majority moment’ in diversity politics, arguing that the focus of research on ethnic diversity should be substantially enlarged and include majority cultures as a topic of analysis in and of itself. Tariq Modood (politics, sociology / University of Bristol) will revisit equality and group identity, making a plea for transcending the dichotomy between ‘identities constructed from the inside’ and ‘identities constructed from the outside’ within a normative framework that concentrates on groups fighting outsider perceptions by boosting insider identifications. Gérard Bouchard and Tariq Modood were not directly involved with the activities of the RECODE program thus far. The issues raised in their lectures will be discussed by a panel composed of scholars who have been associated in different ways with the RECODE project over the past five years. Bouchard and Modood will have the opportunity to respond to the panelists before the floor is opened to the general public. The second part of the event (24‒25 October 2014) will principally be devoted to the workshop ‘From simple to complex diversity: balance and perspectives’. The workshop’s purpose is to offer a first comprehensive and critical balance of the scientific activities realized under the umbrella of the RECODE network over the past four years. Participation in the workshop is limited to RECODE Steering Committee members and invited guests. The workshop should not only give an overview of the outcomes of the RECODE thematic sections, but also address the dynamics of changes and possible interconnections between them. The key question that the workshop will address is the transition from the ‘simple’ diversity of high modernity to the ‘complex’ diversity of present times. The workshop is divided into four sessions, each of these focusing respectively on one of the program’s thematic core sections, i.e. religion, language, welfare, and de-territorialization. The format of the sessions is based on confronting a contribution of a RECODE-associate with the contribution of a non-RECODE speaker. The papers presented in the workshop can either apply a general focus on the work done by a section or address a particular topic, which is considered to be of special relevance for tackling the section’s scientific objectives. The papers are expected to have a complementary character and to offer a critical approach to the work done by the RECODE sections. 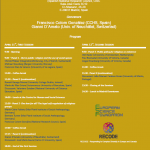 Both the opening event and the workshop shall contribute to an assessment of how successful RECODE has been in coming to grips with the phenomenon of complex diversity, in analyzing this phenomenon in productive and innovative ways, and in combining European and Canadian approaches in the endeavor to grasp a new constellation, in which a variety of social, political and cultural cleavages overlap and compete for political legitimacy at national, supranational and transnational levels. One of the principal consequences of the socio-cultural and socio-political transformations which we label with terms such as globalisation and Europeanisation is a substantial alteration of the functions of different languages and their position with respect to one another. These effects are making themselves felt not only at a global scale and in regional arenas, but also at the national scale of state-level language policies, and at the local level of linguistic practices in multicultural neighborhoods. This raises unprecedented challenges for contemporary societies, which have to engage these more varied and pervasive manifestations of diversity. Meeting these societal challenges calls for the development of institutional responses that take account of the new politics of language and multilingualism. Although there is an abundance of literature on multilingualism and diversity in the modern world (particularly in contemporary Europe), relatively little has been done towards elaborating an integrative view that identifies the key social and political dimensions at hand, and proposes a systematic approach to policy development on this basis. In this workshop, we attempt to do precisely that, by charting some of this little-known terrain, emphasizing the need to be simultaneously relevant at the international, national and local levels. This project analyzes the political sources of solidarity in ethnically and religiously diverse societies, paying particular attention to two factors: conceptions of political community, and state policies related to diversity and integration. These issues have been the subject of a lively debate among normative political theorists, but few empirical analysts have engaged with their ideas. This project brings these two groups together to analyze the political underpinning of solidarity in diverse societies. The RECODE Steering Committee meeting for 2013 will take place in Dublin on Saturday June 15th, from 09:00-16:00. 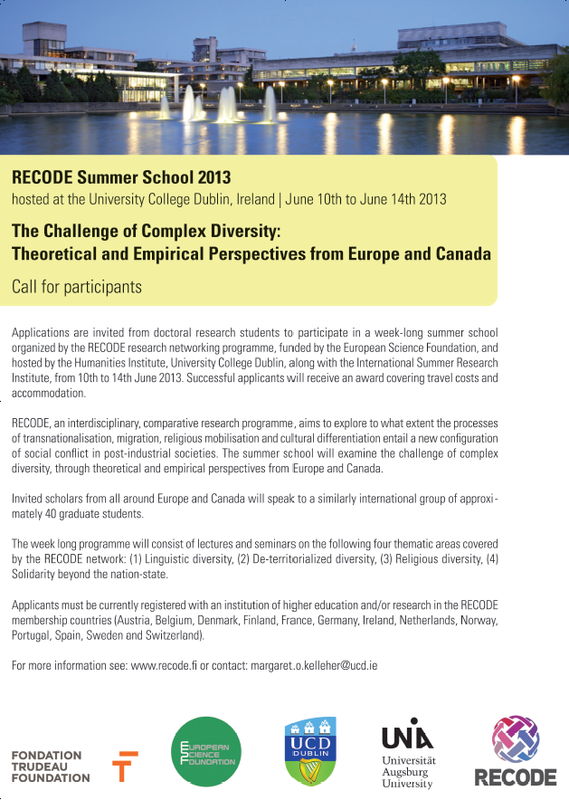 Applications are invited from doctoral research students to participate in a week-long summer school organized by the RECODE research networking programme, funded by the European Science Foundation, and hosted by the Humanities Institute, University College Dublin, from 10thto 14thJune 2013. Successful applicants will receive an award covering travel costs and accommodation. RECODE, an interdisciplinary, comparative research programme, aims to explore to what extent the processes of transnationalisation, migration, religious mobilisation and cultural differentiation entail a new configuration of social conflict in post-industrial societies (see http://www.recode.fi/). The summer school will examine the challenge of complex diversity, through theoretical and empirical perspectives from Europe and Canada. The week long programme will consist of lectures and seminars on the following four thematic areas covered by the RECODE network: (1) Linguistic diversity; (2) De-territorialized diversity; (3) Religious diversity; (4) Solidarity beyond the nation-state. Participating lecturers and seminar leaders include Gianni D’Amato (University of Neuchâtel), Rainer Bauböck (EUI, Florence), Anette Borchorst (Aalborg University), Susanne Brauer (Paulus-Akademie Zürich), Linda Cardinal (University of Ottawa), John Erik Fossum (University of Oslo), Alain Gagnon (UQAM), François Grin (University of Geneva), Riva Kastoryano (CNRS-CERI-Sciences Po, Paris), Peter A. Kraus (University of Augsburg), Jocelyn Maclure (Laval University), Michel Seymour (U. Montréal), Birte Siim (Aalborg University). 14.00-16.30: Group workshop and student presentations led by Gianni D’Amato, Susanne Brauer, and Jocelyn Maclure. 14.30-16.30: Group workshop and student presentations led by Peter Kraus, François Grin, and Linda Cardinal. John Erik Fossum: Cosmopolitanisation in the EU and Canada? Summer school ends at 15.00. Day 2 Religious diversity:Religion has lost its role as a fundamental reference in Western societies, but it has not given way to completely secularized forms of subjectification. It continues to be in a post-secular setting a relevant social force that pervades the public, private and intimate realms. Therefore, the session will address the following themes: How to interpret secularism and laicité in post-secular societies? What is the role and option of religion in public space? Which ethical and legal parameters should be taken accountable in religious plural societies? What are workable public policies for religious co-existence? Day 3 Linguistic diversity: The session will be devoted to assessing the impact of linguistic diversity and multilingualism on society and politics in Europe and Canada from a multi- and trans-disciplinary perspective. It will address the following themes: (a) language and identity-formation under conditions of complex diversity; (b) language, immigration, and integration; (c) multilingualism and democracy; (d) political communication in transnational contexts; (e) linguistic justice. Day 4 De-territorialized diversity: Politics has traditionally been conceptualized and organized along territorial lines. Today, however, the confluence of globalization, cosmopolitanisation and Europeanisation have given new impetus to the development of transnational communities. The session will address the following questions: What is meant by transnational communities? How salient are they in today’s EU and Canada? What is the relationship between transnationalism, nationalism and cosmopolitanism? Is cosmopolitanism the way forward? Day 5 Solidarity beyond the welfare state: The session will address multicultural politics within and beyond welfare states focusing on the following themes:(a) the changing politics of diversity and belonging;(b) old and new forms of diversities and inequalities; (c) the boundaries of solidarity during the economic crisis. Applicants must be currently registered with an institution of higher education and/or research in the RECODE membership countries (Austria, Belgium, Denmark, Finland, France, Germany, Ireland, Netherlands, Norway, Portugal, Spain, Sweden and Switzerland). Applicants must be currently registered PhD students in disciplines and fields of interest relevant to the themes of the school and RECODE network. All application material must be submitted in pdf format to recode2013@ucd.ie for the attention of Professor Margaret Kelleher, RECODE Irish representative, by 31 March 2013. Letter of application (max 500 words) detailing a) your institutional affiliation, b) nature and length of programme for which you are registered, c) subject of research project, and explaining how you will benefit from the workshop. A short essay (max 500 words) addressing directly one or more of the themes of the workshop sessions from the perspective of your research project. Letter of support from your research supervisor (recommended length: c. 500 words). NB: Applications exceeding the indicated word restrictions and late applications will not be eligible. Incomplete applications will not be accepted. Balanced geographical and gender representation amongst the participants. A certificate of participation will be issued to all summer school attendees. Credit allocations will be the responsibility of the student’s own institution. The ESF award will cover travel costs (economy class), meals and accommodation (5 nights); travel costs will be reimbursed to participants following the event. Time and venue: 11-12. October, 2012. Aalborg University, Denmark. The objective of the workshop was to address new challenges and problems related to the changes of transnationalism and Europeanization on the one hand and the growth of welfare nationalism, neoliberal and right wing politic on the other hand. One of the main questions was how the socio-economic and political changes are influencing (re)definition of welfare, minority and migration politics. One of the key issues is the reframings of equality and diversity and the challenges involved in constructing welfare policies transcending the dilemma between redistribution and recognition policies from a comparative European and global perspective. 3) “Diversity, Transnational Solidarity and the Crisis”. In the concluding panel debate titled “European Social Policies, Civil Society Actors and the Crisis” the invited speakers addressed the socio-economic and political crisis from a comparative European and global perspective. This panel addresses the changing politics of diversity and belonging at the level of theory and research within and across nation states. One issue concerns patterns of diversity and how major political parties and political projects respond to the new challenges from diversity. What are the relations between anti-diversity positions within the nation states and Euro-scepticism? Another issue concerns voters’/public attitudes towards diversity and explores the role of the media in influencing/framing citizens’ attitudes The third issue concerns the challenge from Neo-nationalism and Right Wing populism, voters and members of populist partier; the growth of Right Wing populism and opposition/challenge to welfare and equality policies within and across nation states. Phil Triadafilopoulus, Visiting Professor, Berlin: ”Immigrants Into Conservatives: Immigration Politics in Canada”. Hans-Georg Betz, Switzerland: “Still the ‘Master Case?’ The Neo-populist Synthesis of French Radical Right-Wing Discourse under Marine Le Pen”. Robert Sata, Central European University, Hungary: “Political Parties in multicultural dialogues: diversity and Europeanization in political discourse”. Gianni D’AMATO, University of Neuchâtel, Switzerland: “Migration and the Polarization of Public Debate in Switzerland and Austria”. Anniken Hagelund, Institute for Social research, Oslo, Norway: “Immigration and the Nordic welfare state. Good guys and bad guys”. Susi Meret, Co-MID, Aalborg University: “Gender and female charismatic leadership in the Nordic right-wing populist parties”. This panel addresses diversity and inequalities within and across nation states at the level of theory and research. Is there a trade-off between recognition and redistribution and between ethnic diversity and gender equality? One issue focuses on relations between old and new forms of inequalities, I.e. intersections of equality/inequalities according to gender and class with inequalities according to ethnicity/race and religion. The second issue compares policies and discourse of redistribution within the EU and across the nation states The third issue concerns the role of (new) political actors, organisations and identities, I. e. comparing the mobilisation and claims-making of various social and cultural groups. Yasmeen Abu-Laban, University of Alberta, Canada: “Remaking Canadian Citizenship: The Politics of Recognition, Redistribution and Social History under the Harper Conservatives”. Aleksandra Ålund & Carl-Ulrik Schierup, REMESO, Linköping University, Sweden: “From Paradoxes of Multiculturalism to Paradoxes of Liberalism”. Monika Mokre, Austrian Academy of Sciences, Vienna & Birte Siim, Aalborg University: “Gender and Diversity in an emergent European Public Sphere”. Christian Albrekt, CCWS, Aalborg University: “Ethnic Diversity and Social Cohesion: How Mixed Schools Mediates the Negative Relationship”. Martin Bak Jørgensen & Trine Lund Thomsen, Co-MID, Aalborg University:” ’Needed but undeserving’ – The social construction of deserving and undeserving migrant groups in Denmark”. Discussant: John Erik Fossum, ARENA, Oslo, Norway. This panel addresses the tension between national identities and transnational solidarity, paying particular attention to the contemporary economic crisis. One issue concerns the boundaries of solidarity during the economic crisis. A second issue concerns the interaction between transnational solidarity and solidarity at the domestic level during the economic crisis. Does resistance to solidarity at the transnational level strengthen or weaken solidarity and redistribution at the level of the nation state. A third issue concerns interactions of transnational actors, networks and organisations with EU-institutions; and within civil society. Manuel Carlos Silva, Research Centre of Social Sciences, University of MInho, Portugal:”Crisis, democracy and development: The Place of Portugal in the EU”. Keith Banting, Queens University, Canada: “Multicultural Diversity and Redistribution in Canada: Immigrants, Aboriginal Peoples and Public Support for Social Programs”. Discussant: Francisco Colom González, Centro de Ciencias Humanas y Sociales, Madrid, Spain. Participants: Anette Borchorst, CCWS, Aalborg University, John-Erik Fossum, Arena, Oslo, Peter Kraus, RECODE, Programme Chair, University of Augsburg. Plans for future cooperation, networking and publication. The RECODE Steering Committee meeting for 2012 will take place in Oslo on Saturday June 9th, from 09:00-16:00.